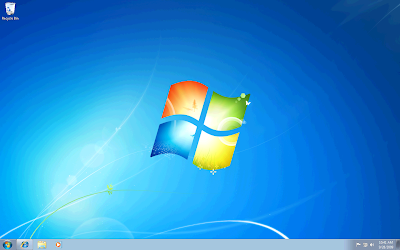 Windows 7 is Microsoft latest stylish windows after windows XP and windows Vista. Many people love the glassy effects in windows 7 and also in windows vista. But with the compatibility issue with windows vista many people didn’t used it frequently, But after windows vista Microsoft released its best operating system with stability knows as windows 7. People love it and used it as a primary operating system after windows XP. Windows 7 is different from windows vista and windows xp in term of stability and also in look wize. Many XP users doesn’t afford core hardware for windows 7 and windows vista, that’s why they love to customize the look of windows xp as look like windows 7 and windows vista. So for those people who wants to completely customize their windows? I prefer them to used stardock window blinds. Window blinds is one of the popular software from stardock which totally transform your windows xp and make it look like windows 7 or windows vista. You cannot even see the difference between real and artificial. Because WindowBlinds extends the existing painting routines of the operating system, it uses very little memory. You can choose thousands of free skins from their, you can customize Windows to look like another a new take on the standard Windows look, a totally different OS, or something completely different or any other look you want.